Hi Ken! I remember Beckton Park.Had a bandstand and of course the lido.Loved going there. Also the rec. I could look out of my Nan’s flat and see the rec and also further over the cooling towers of (I think), the gas works. They fascinated me. Why they had to change the names of things. I suppose it’s only our age group that are full of nostalgia. I saw Beckton Park on a old 1893-1895 Ordnance Survey map. It was created long before most of Custom House and surrounding area existed. Mick , nice snaps . some of my memories going back to1951 -2 with Beckton Park was my Mum putting me onto the 106 Bus on a early Sunday morning on the East Ham Barking by pass and asking the Conductor to look out for me andtravelling along over the Beckton alps Sewer bank and onto Prince Regents Lane then stopping out side Beckton Park bus stop was my Uncle Jim . Still can see him now, very tanned due to him working out side in the Docks and also his spell a few years earlier in the Desert ,long overcoat Brogue shoes brown, Paisley scarf and shiny slicked back hair , looked every bit a spiv which he wasn't . Our destination was Aldgate East , we walked up Commercial St then seemed a long walk then , then turned right into Slater St and Club Row and the Animal Market , seemed to me then you could buy almost any Household animal , Parrots, monkeys ,snakes dogs cats ,then over to the Cafe for a cuppa with all the caged birds mainly canaries hang outside singing away . Ah sweet memories . 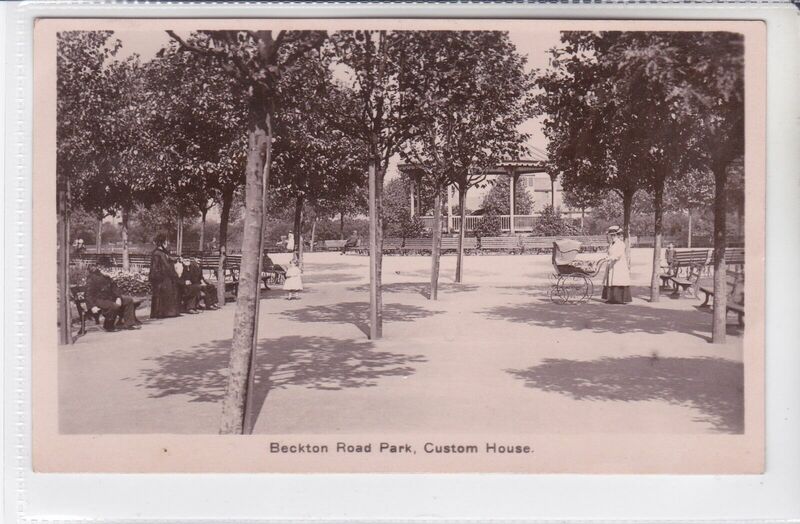 Many thanks for your posts , especially the photos of Beckton Park. Hi MickG, by the look of some of the clothing, I would guess these photos were taken long before my time in Beckton Park. My visits were confined to the Lido or the fairground. For a general kick around or game of cricket it was Vernons sports field.